Die älteste zeitgenössische Tanzcompagnie Englands ist mit Merce Cunninghams berühmtem Rambert Event das erste Mal in der Schweiz zu sehen. Merce Cunningham’s legendary «Events» were the great choreographer’s signature works, exemplifying his revolutionary approach to dance. Each Event was made up of extracts of choreography, combined with music and design in a way that was unique to each location and performance. 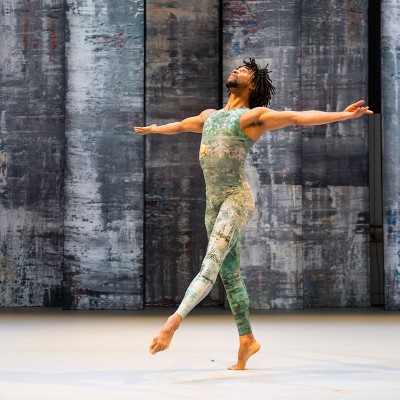 The Rambert Event features extracts from the Cunningham works in the repertoire of Britain’s leading contemporary dance company, arranged and staged by former Cunningham dancer and rehearsal assistant Jeannie Steele. The original music, performed live, is by Philip Selway (from Radiohead), Adem Ilhan and Quinta. The costumes and settings are based on the Cage series of paintings by Gerhard Richter. First presented in 2014, the Rambert Event has been acclaimed as a thrilling new encounter with the work of one of the most influential figures in contemporary dance history.